Our culotte set comes with a boxy top. We specifically made them in loose cutting, so that they are suitable for an active day for your little ones. 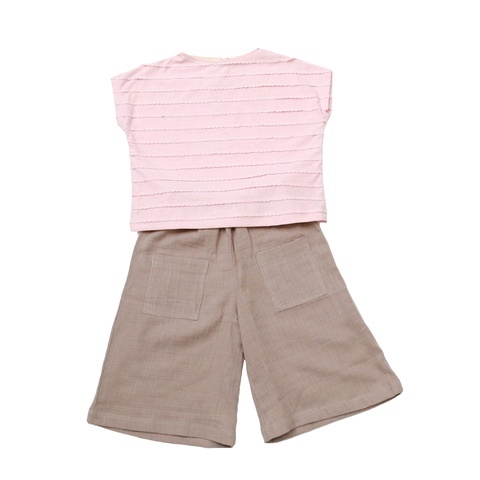 Materials used are cotton linen for culotte, and cotton knit for the boxy top.